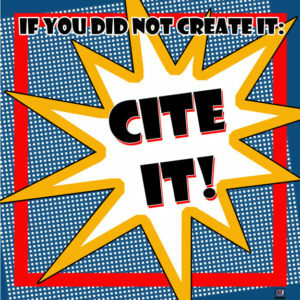 Types of Cited Sources: How to Cite Sources without Plagiarizing? How to cite without plagiarizing? There is a wrong concept about citation among authors. First of all, it is the only concept used in academic writing and not in creating simple content. Secondly, there are some specific ways of citing e-content. It is not all about adding quotation marks in the start and end of each sentence. You need to be highly aware of the rules of citation and use a duplicate content checker. There are various ways that can help you in citing the content. However, some important ways are easy to remember and a make perfect quick changes in your content. The major types you must know about citation sources are the Parenthetical or In-Text Citation and other is Reference List. The particular sections of the paper are checked to have the citations in Parenthetical citing, however, the references shown at the end of the paper show the type of reference list citations. These are two the only and important types of citations required to do in the conducted research studies. When you think of adding citations in the text content, the important thing is to cite the text work that is relevant. For instance, some students and even experienced researchers try to fill up the paper with content and don’t even bother to read the content before adding citations in it. The originality of content along with source authenticity is important before including the citations. Otherwise, it may end up in quick rejection of the submitted work without any reluctance. Therefore, it is important to pay attention to all the shared tips to make your added citation perfect from every phase. Try to rephrase the content or use proper methods of citing to avoid plagiarism from the content. Many expert researchers do believe on this philosophy and get great success in it as well. There are numerous types and styles of citation. The academic content of any kind seems incomplete with no use of citation. However, the distinctive types of content require different kinds of citation styles. If you’re confused about the use of the relevant style of citation, you need to focus on these types shared with the detailed description of each mentioned below. Make sure that all of these styles of citation are standard and used by expert researchers in all over the world. Have no idea on how to check for duplicate content? Visit this page and check out! So, you don’t need to think a lot before relying on any of such styles. MLA: The abbreviation of Modern Language Association is the style of citation used in particular researches of some fields. The humanities and liberal arts are two important fields in which these both styles of citation are used specifically in the research papers. APA: American Psychological Association style of citation is quite common in the research papers conducted in college and universities. This style is not based on too complex processes. Therefore, it is quite general in the papers conducted for final year’s research papers in colleges. It is commonly used in the field of social sciences. Turabian formatting: The combined form of-of author-date and notes-bibliography style is said to be as barbarian formatting or citation. As a mean of giving attribution to sources, this style is used by authors who are using footnotes and endnotes. It is also referred to as a combination of few Chicago style citation used in fields like natural sciences, social sciences, and humanities. Chicago style of citation: The research papers conducted in the field of social sciences are mostly based on this citation style used in the text content. It is neither too simple nor quite complex to follow. However, there is a bit practice required to add this style of citation in the content. Harvard style: The Harvard style of citation doesn’t need any introduction. This is one of the finest and common styles of formatting or citing especially among the expert researchers in the world. The best thing about this style is it’s popularity that can turn your paper more attractive and can result in quick acceptance as well. ASA style: The American Sociological Association citation style is another option. By its name, you can analyze use of this style specifically in the research studies conducted in the field of sociology. Although, it can be used in research studies of other related subjects to sociology but is common in the journals of sociology. A popular quote related to duplication of content in any kind of document is shared by anonymous person. h/she said, “To be content means that you realize you contain what you seek”. Lao Tzu has shared the best quotes about content duplication that is useful for every author. He shared, “when you are content to be simply yourself and don’t compare or compete, everyone will respect you. This is highly feasible quote that can motivate authors to go for writing personally rather than copying even a word from other source”. These quotes are highly useful in terms of avoiding stealing of content. Secondly, one needs to know about the significance of fresh and unique content over the copied work. Therefore, it is always suggested to prefer writing the content by yourself. The shared quotes must be shared is that others also get to know benefits of writing content personally. Try to follow the shared tips to improve your skills of adding citations. This is how your conducted research can be seen apart than the published papers of others. Learn the proper ways of how to cite without plagiarizing by reading this post from start to the end. The feasible information available here is definitely hard to find from any other source online.